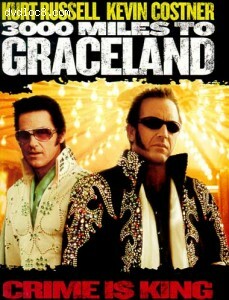 Synopsis: It was an ingenious enough plan: rob the Riviera Casino's count room during an Elvis impersonator convention. But Thomas Murphy decided to keep all the money for himself and shot all his partners, including recently-freed ex-con Michael Zane. With $3.2 million at stake, the Marshals Service closing in, and single mom Cybil Waingrow and her son Jesse constantly confounding things, Michael must track down Murphy.